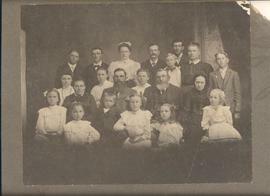 Jacob Goossen's wife and children came to Canada after he died in 1920. 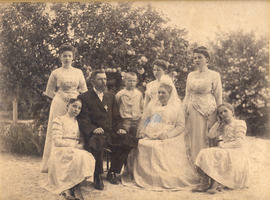 One son-in-law, Abram A. Friesen, was first married to daughter Maria Goossen (1889-1934) and then to another daughter, Helena Goossen (1895-1985). 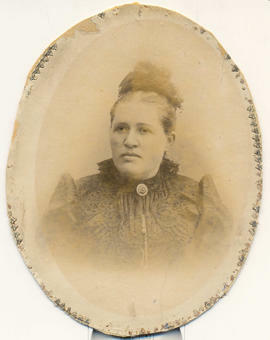 After Helena (Goossen) Friesen died in 1985 the photographs came into the possesion of Maria's daughter, Aganetha (Friesen) Enns (1923-1989) and her husband John Enns. 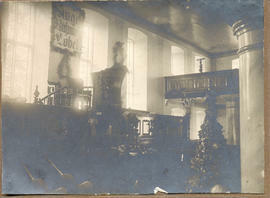 John Enns (Winnnipeg) donated these photographs in 2002. 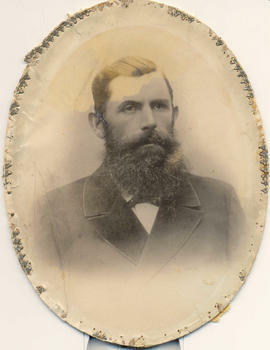 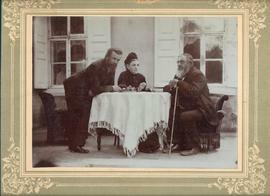 The collection traces its beginning to Jacob Goossen (1858-1920), a Mennonite estate owner in Russia. 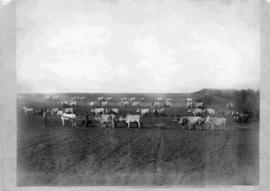 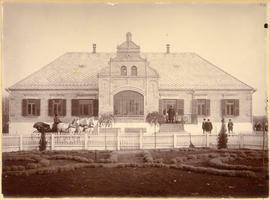 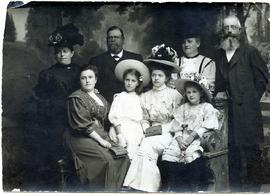 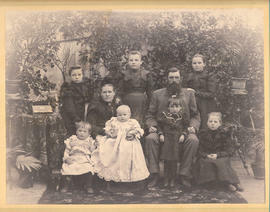 The photographs consist of family photos showing individuals, family groups and buildings at Wintergruen as the estate was called.